The Hilton in Shinjuku is just blocks from the Tokyo Metropolitan Government complex. The complex is, to say the least, quite an impressive set of structures in a city filled with them. I had a few more Japanese delicacies on my last trip Japan that I wanted to make sure and capture. Kyoto was fairly sedate, with another trip for kushiage being the highlight. I think I’m growing fond of shrimp heads, honestly. 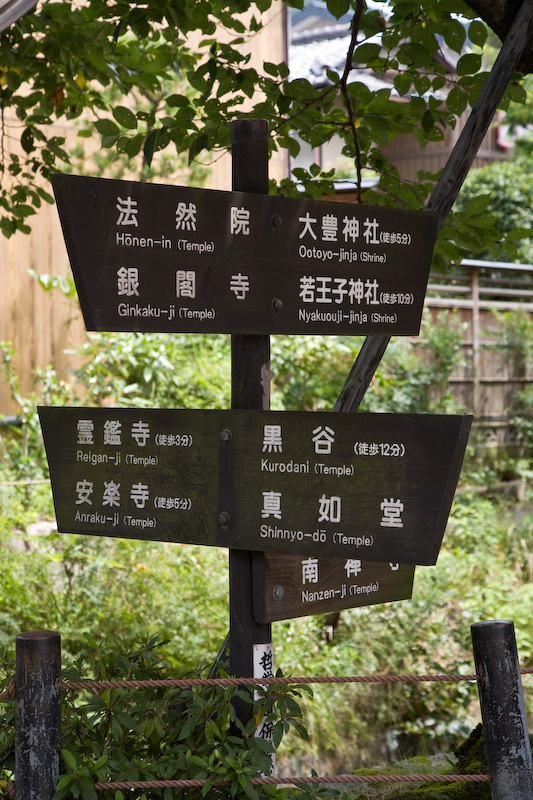 Perhaps you thought I was kidding when I said there was a temple or shrine every 500 feet on the Philosopher’s Walk? Check out this sign post for proof! We continued our stroll visiting most of the shrines along the way.